ONE of the happiest men in golf right now is somebody who wasn’t playing at Augusta. Thomas Bjorn, the European Ryder Cup captain, will be thrilled by what he witnessed at Augusta National. Knowing sages have expressed the view that America will travel to France later this year and head back across the Atlantic Ocean with the little gold trophy still in their possession. Bjorn has never believed it and that view will be held even stronger today, despite the fact that American Patrick Reed was the man who collected the Green Jacket. Over the course of the week, yes we saw some brilliant golf from the likes of Reed, Dustin Johnson, Jordan Spieth, Justin Thomas and Rickie Fowler, delighting US captain Jim Furyk. But we also saw plenty of signs of frailty from those same golfers, chinks in their armour that will give Bjorn hope – not that he ever really needed it. Rory McIlroy, Justin Rose, Henrik Stenson, Matthew Fitzpatrick, Jon Rahm, Paul Casey and Tommy Fleetwood will form the heart of Bjorn’s team come Paris in September. Fitzpatrick is an unassuming young man. There is nothing to him – apart from a ferocious competitive spirit, a heart the size of a house and a short game to die for. His performance during the third round was magnificent. He knew that he had no chance of winning The Masters, and it would have been all too easy to go through the motions, but that is not Fitzpatrick’s style. He had played well at Augusta before and he did so again. This is a young Englishman who is absolutely at home in this company. 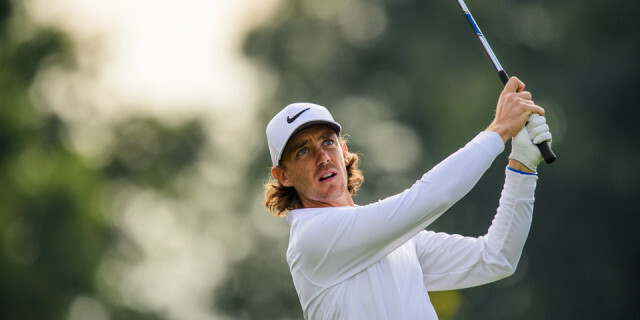 When Fleetwood won the Race to Dubai last season there were those who believed it might be a one-off, that he would struggle to maintain those incredible standards. Not a chance. Already with one victory to his credit this season, Fleetwood reeled off five birdies on the trot on Saturday and admitted that when he walked off the 18th green with a 66 to his name he was disappointed, even though he had just recorded his best ever score in a major. It is surely only a matter of time before Fleetwood finds himself in the top 10 in the world rankings. Rahm is, quite frankly, a phenomenon. He is an incredibly impressive physical specimen who wears his heart on his sleeve. You don’t ever need to see where the ball has finished when Rahm is in action because his reactions will tell you the whole story. He has a short back swing and generates a huge amount of power with those incredible forearms and bulging biceps, and he possesses that rare ability to will the ball into the hole. He will win majors – it is just a question of when, not if. Rose did not have his A game with him at Augusta and it is a measure of his ability that he was able to spend the entire week on the fringes of the leaderboard. Rose has always been a wonderful ball striker, but he has now worked out a way to get the ball into the hole on a consistent basis. The Englishman has been in the form of his life for months and will play a key role for the European team in Paris. Stenson is not a fan of Augusta. Ahead of this year’s Masters, his best finish had been a tie for 14th, but he worked out a way to play the course this year. He was aggressive when he needed to be. Like Rose, he wasn’t at his best, but he managed to remain on the fringes of contention. When Stenson has his game face on he is a scary competitor, and boy did he have it on this year. Like Woods, he is now 42 years old and like Woods he still hits the ball as well as he ever did – maybe even better than he has ever done. This is a man who lost a large slice of his fortune, along with his game, not so terribly long ago and tumbled down the world rankings. He is a hugely determined individual and battled back, finishing on top of the money lists in both America and Europe, as well as winning his first major in 2016. If you are an American golfer, is this a man you would want to face in a Ryder Cup singles match? Almost certainly not. Just ask Phil Mickelson what it feels like to stare into Stenson’s eyes when the chips are down. 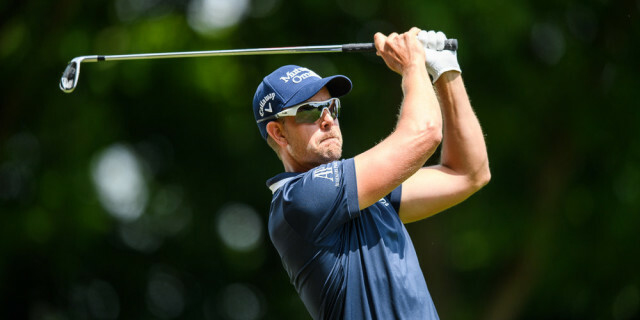 Paul Casey and Ian Poulter have both won on American soil and are shoo-ins for Bjorn’s team, while Rafa Cabrera Bello continues to prove that he is a world-class golfer. Who on earth wouldn’t want an in-form Poulter by your side with the Ryder Cup at stake? Casey’s final round of 65 was one of the best ever seen played on these hallowed fairways. And then, of course, there is McIlroy. Let’s not mince our words here – forget the world rankings, when McIlroy is at his best there is no better golfer anywhere in the world. In full flow he is a magnificent sight, smashing the ball 320 yards at will, and usually slap bang in the middle of the short and prepared. And he loves every single moment of it. Yes, there is a sense that sometimes he is only one shot away from total disaster but the thing with McIlroy is that he has this unerring ability to shrug off the occasional bad shot and follow it with brilliance. So he is also always only one shot away from turning a golf tournament on his head. Sadly, it didn’t happen for him at The Masters and he will be bitterly disappointed with his performance in the final round at Augusta and the fact that his putter let him down again – a 74 was not at all what he had in mind. But McIlroy is a resilient character and of one thing you can be absolutely certain: he will bounce back and he will be at the heart of the European team as they bid to reclaim the Ryder Cup.